We have over 132 hours of HVAC industry training this year. Glenn and his fiancé Margie are currently planning their wedding. He has four sons, two daughter-in-laws, a beautiful granddaughter and two new twin grandsons. Glenn enjoys whatever his granddaughter wants to do: thoroughbred horses, swimming and anything associated with summer. 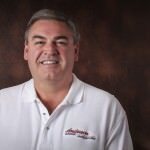 Glenn’s favorite part of his job is being able to talk to the customers and meet their expectations regarding their comfort because we truly aren’t comfortable until they are. Mike and his wife Barb have two children, Stephanie and Michael, and four grandchildren, Parker, Michael, Annabelle and Lincoln. 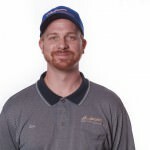 Mike enjoys racing, golfing and cooking. Mike enjoys the fact that he can be creative in his work, that each job is different and requires different types of attention. He also enjoys meeting new people and designing systems that make his customer more comfortable. Nicole has a daughter Brianna and a German Shepherd named Zeus. Most of my time is spent at Brianna’s sports events. I enjoy baking & spending time with family and friends. My favorite parts of the job is interacting with our customers. 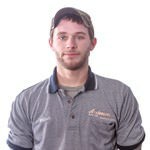 Kaleb enjoys fishing, camping and play station 4, he has 3 dogs; 2 labs and Australian Blue Heeler. He enjoys his job because he is always learning new things and co-works and job environment is great. Kaleb also enjoys movies, spending time with family and girlfriend Taylor. Bryan is engaged to fiancé, Danielle, and has two children – Parker and Jayden. In addition to spending time with great friends and his kids, he also enjoys playing and watching football, baseball and basketball. Bryan says that the reason he loves his job is the great people he gets to work with. 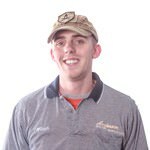 Jeff enjoys hunting, fishing, kayaking and camping and pretty mush anything outdoors. 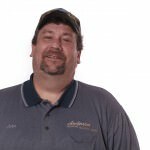 Jeff enjoys working at Anderson Automatic because everyday is something different and his co-workers are friendly and easy to get along with. Chad has two sons Brooks and Boone. He enjoys cars, playing guitar, hunting and fishing. Chad enjoys the family-like atmosphere we have at Anderson Automatic. Barb and her husband Mike have two children, Stephanie and Michael, and five grandchildren, Parker, Michael, Annabelle, Lincoln and Clyde. They also have a dog named Molly. 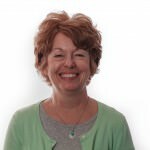 Barb enjoys crafts, marathons, gardening, traveling and spending time with family and friends. 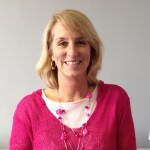 She has worked in HVAC since 1980 and truly enjoys the industry and working with customers. Andy enjoys spending time with his family, friends and girlfriend, as well as, working on his Mustang and Camaro, shooting guns, riding ATVs, working on his house and cooking. He has 2 dogs, Zeus and Mason, a Doberman Pinscher and a Miniature Pinscher. 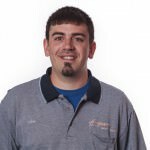 When asked what Andy enjoys about his job, his reply is that he enjoys meeting, seeing new/current customers, resolving issues and establishing customer relationships. Greg and his wife Karen have two daughters, Ella, Kynzlie and Aizlinn. 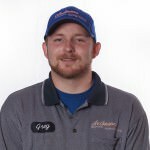 Greg enjoys camping, fishing and watching sports. Greg’s favorite part of his job is that every job is different and he gets to work with his hands. Vicki and husband Mark have two children Matt & Amanda and Grand daughter Laney. Vicki and Mark will be celebrating their 30th wedding anniversary this year. 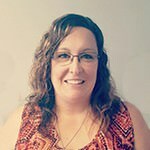 Vicki enjoys working in the yard, cooking, walking anytime outdoors, scrapbooking and wine tasting. I like my job because everyone is friendly and the company does also to fun things throughout the year for the employees. It’s a great change of pace from the medical field. Micah and his wife have a son. 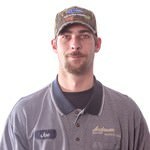 Micah enjoys Fishing, hunting, four-wheeling and clay pigeon sport shooting. Micah enjoys working at Anderson Automatic because he gets to meet new people everyday and he enjoys the challenges each day brings to his job. Ian and his wife Brittany have three children and love spending time with their family and friends. He also enjoys anything that has a motor and drives fast, including street bikes and dirt bikes. He considers himself to be a big gear head. Ian enjoys seeing customers every day and being able to work with his hands. Joe has four children with his wife – Rachel (18 years), Joseph (7 years), Natalie (5 years) and Madison (infant). In his spare time, Joe enjoys hunting, fishing and softball. He likes working for Anderson Automatic for the friendly environment. Duane and his fiance’ Nia have a daughter Hayden Grace. They also have two dogs, Camo (chocolate lab) and Tundra (pit bull/boxer mix). 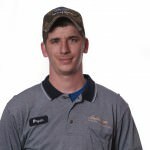 He enjoys golfing, hunting, fishing, camping, riding four-wheelers and caring for his lawn. He thinks he was born with a green thumb. In his job, Duane loves making people feel warm and comfortable in the winter and cool and calm in the summer. Joe is married to his wonderful wife Valerie. They have two daughters Madison and Greta. Joe and Valerie have a horse named frizzy and in search of more animals for their future farm. Joe loves being outdoors, spending time with the family, fishing and hanging out with friends. He enjoys building long lasting customer relationships everyday. Zach is single and has two brothers, Brian and Joe. He currently has no pets but is a dog lover. 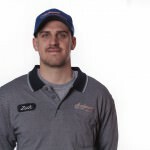 Zach enjoys coaching and playing volleyball, traveling, hiking and sports. Zach is a huge Cincinnati Reds fan. Zach’s favorite part of his job is the family environment. Ryan is dad to two daughters, Savanah and Lillian, and a son Jayson with fiancé, Brittany. He also has a Chihuahua, named Boomer. Ryan has served in the U.S. Army. 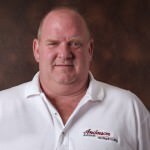 He enjoys working for Anderson Automatic because it’s a good trade and he likes helping other people. McKenzie enjoys crafting, playing darts and hiking. She has two sisters and dog Willow and chinchilla Conner. McKenzie loves the opportunity to learn something new every day to be able to solve HVAC problems and working different places each day. Tony has a beautiful wife, Cindy, and three sons, Tony, Gino and Ricci. Their family includes two pugs named Georgia and Slippers and a cat named Scruffy. 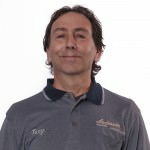 Tony enjoys art, music, golf, old movies and outdoor activities. His favorite part of the job is getting to meet interesting people and his co-workers. John has a beautiful wife, Becky, four children, four adorable granddaughters and one grandson. Their family also includes a miniature dash hound named Gigi. John enjoys fishing, boating and camping and is a big fan of NASCAR and making a lot of money for retirement. John’s favorite part of his job is learning. Dave is a big animal lover; in his spare time he enjoys basketball, corn hole and time exploring the wilderness. He enjoys meeting new customers and learning new skill each day. Deb and her husband John have two daughters, Emily and Olivia. She is also a grandma to three granddaughters Ellie, Lydia and Ava. Deb has a dog named Griffin. 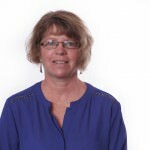 She enjoys working in her yard, playing euchre, wine tasting and traveling. She feels that she works with awesome people. 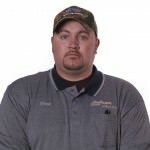 Devin enjoys soccer, hunting and fishing when he is not spending time with his wife Tiffany and son Sawyer. Devin’s family have two pets: cat; Samson and dog; Gretchen. Devin likes his job because he enjoys working with his hands.